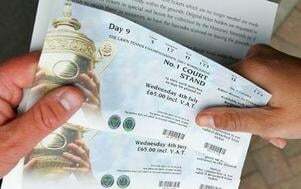 Rainford Tennis Club have been allocated 16 pairs of tickets for our members to watch The Championships at Wimbledon between 23rd June – 6th July 2014. The tickets, which are made available to the Club each year by the LTA, were allocated in ballot to members of Rainford Tennis Club at the end of May. "We hope all our members enjoy their visit to Wimbledon and see some great tennis" said Club Chairperson, Helen Bligh. "Accessing Wimbledon tickets is one of the many benefits of joining Rainford Tennis Club and we are delighted to be able to offer this fantastic opportunity to our members."